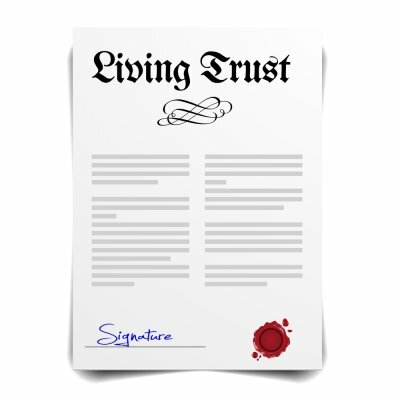 As a lawyer who handles estate planning and wills in the Woodlands can explain, a living trust is a written document that any property owner can create during his or her lifetime. Just like a will, a living trust is usually created by a will attorney and spells out your exact wishes regarding your assets, your dependents, and your heirs. The difference between wills and living trusts is that wills only become effective after you die and your estate has entered into probate. A living trust can be beneficial where it is advisable to bypass the probate process. In such an event, your named trustee can carry out your instructions regarding your property after you die. Where you are unable to manage your financial, healthcare, and legal affairs due to illness or incapacity, then your trustee may also be given control over such matters. For a lawyer who handles wills and estate planning and can help you establish a trust, contact Andrew J. Bolton, Esq. of Spring, TX. Our experienced attorneys have years of experience handling wills and trusts. You can reach us at (936) 435-1908. A family law attorney in the Woodlands often counsels engaged couples to consider creating a premarital agreement, sometimes called prenuptial agreements. 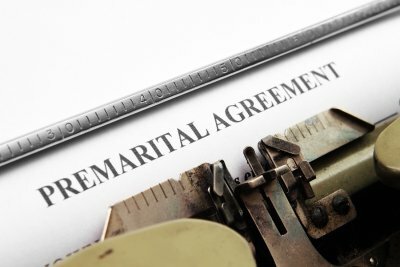 No one ever anticipates getting divorced; a prenuptial agreements is simply an agreement that contractually determines how property is distributed if there is a split. As your family attorney will explain, having a plan in place will make sure that there are fewer issues, or disputes, later on. Continue reading to find out how hiring a lawyer to draft your premarital agreement will ensure legal validity, equitable distribution of property—and even encourage financial stability throughout the marriage. In Texas family law, having your lawyer draw up a prenuptial agreement can encourage financial stability during a marriage. For example, if one spouse has a great deal of debt but not a lot of income, then a prenuptial agreement can arrange your affairs to keep the debt-free spouse’s income completely separate. In this way, creditors of the indebted spouse cannot touch the property or income of the debt-free spouse. The Texas Family Code authorizes prenuptial agreements to divide property upon divorce or the death of one spouse and can function to require, or exclude, spousal support or alimony. A lawyer can draft an agreement so that property is limited upon divorce whenever a specific contingency is not met. For example, a prenuptial agreement might require one spouse to pay a certain amount in contractual alimony to the other spouse if that spouse files for divorce without attending a certain amount of marriage counseling. When you have a lawyer who practices family law draw up your prenuptial agreement, you can be confident that it is a legally binding contract. To be a valid premarital agreement in Texas, the document must be in writing and signed by both parties. As your family lawyer will explain, both spouses must also disclose all assets and liabilities before signing the agreement. To speak directly to a family law attorney in Spring, TX, contact Andrew J. Bolton, Esq. Our family law firm handles all issues pertaining to family law and wills, including estate planning. If you are considering drafting a prenuptial agreement or even weighing your options for legal separation, call us at (936) 435-1908 to speak to an attorney. Getting engaged is an exciting time, and no one wants to even consider the possibility of divorce. But now is also the time to talk to both your partner and to a family law attorney in Spring, TX, about a prenuptial or premarital agreement. A lawyer will generally recommend a prenuptial agreement if either partner comes into the marriage with either substantial personal assets or a much greater earnings potential. A prenuptial agreement is drafted by an attorney and it lists all your property, including homes, businesses, stocks, and bonds. A prenuptial agreement also lists each party’s debts. In the agreement, it is agreed to in advance, how property, debts, and payment obligations will be addressed in the event of a divorce. Your family attorney will then specify how these issues will be handled by the parties should divorce be found to be inevitable. Your attorney will also include a provision noting whether spousal support will be paid upon divorce. If you are going through a divorce involving children , you will need to seek counsel from a family law attorney in the Woodlands. Even amicable divorces are extremely difficult for all parties involved, and emotions may still run high. Whether you and your former spouse have agreed to a child custody arrangement or whether you plan to contest his or her child custody request, a divorce lawyer can make sure your best interests—and the best interests of the children—are protected. 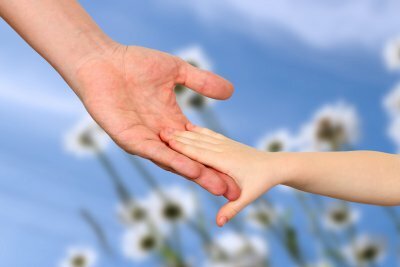 Continue reading below to learn more about how child custody works in Texas family law. Texas family law begins with the presumption that the two parents will share custody of their children after a divorce. However, parental duties do not need to be shared equally. Specific child custody rights may be awarded to one parent over another depending on the best interests of the child. However, the presumption that parents have joint legal custody, or share in legal decisions pertaining to minor children, needs to be contested should one parent believe that such is not in the best interests of the children. Texas courts also strongly encourage mediation to shield children from the courtroom. Mediation allows for a cooperative setting where each side is still represented by a child custody lawyer. A mediator will consider many factors in helping the parties agree on which parent should have primary physical custody, including the history of contact between the parent and child and the respective relationships between each parent and the child. A mediator will also consider the child’s health, safety, and welfare, the parent’s health, and each parent’s financial situation. Finally, a mediator will consider any history of physical or emotional child abuse. While mediation is often mandatry, if one parent simply refuses to sit down and discuss child custody issues, the case will go to court. Going to court is generally a last resort in Texas family law, but a trial becomes necessary if parents are unable to work together in the best interests of the child. If you go to court, a family lawyer will stand by your side to advocate for your legal rights.